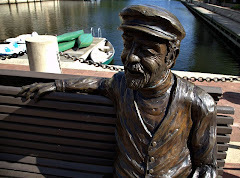 All garage parking will be free in Reston Town Center from Saturday through [Dec.] 26 due to the holiday season... Parking activation is not required. Boston Properties expects 200,000 square feet of space to be vacated at Reston Town Center in 2018, a company official said during the BXP quarterly earnings call on Thursday. A top executive at BXP told Patch in a recent interview that having 200,000 square feet of space vacated is quite typical, and demand is actually strong at RTC. "It's actually quite typical," said Peter Johnston, Boston Properties executive vice president for the Washington, D.C. region, in an interview with Patch. "The prior three years, the rollover in RTC was 201,000 square feet, 188,000 square feet, and 236,000 square feet. While those numbers seem large, they only represent between 5 and 6 percent in square footage we own and manage." 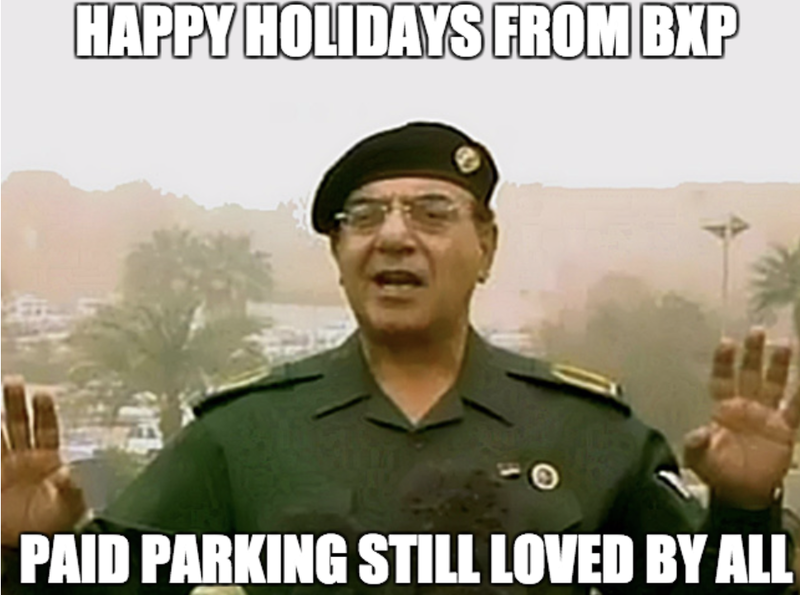 So maybe the move to app-free, cost-free parking is just a bit of holiday goodwill from the big-hearted folks at BXP. But what happens come January, when retail sales drop and paid parking returns? They won't have a blizzard from the previous year to fudge their own traffic numbers, but we're sure they'll be "great," to quote another awesome real estate developer. In the meantime, always remember and never forget: street parking is still being enforced, except on Sundays. So be careful, lest you get a brightly colored Bumblebee from our BXP buddies for the holidays, the end. Peter Johnston -- Boston Properties' executive vice president for the Washington D.C. region -- told Patch that things have "settled down," and that he thinks the response to the decision to roll back paid parking hours has been "exceedingly positive." "I would say there's not going to be changes in the near-term," he said. "My guess is we'll evaluate as we get closer to the arrival of the Metro. Once they begin charging and the service is up and running, as we get closer to that, we might reevaluate what hours to charge for. I don't see anything happening before then." Should this be free parking from Saturday through DECEMBER 26? Until parking is free whenever I want to go there, I won't go there. I had a party of six move their dining destination due to "the principle" of having to pay for parking. I feel for the retail establishments but, perhaps, if they all vacated, or is people quit visiting, Boston Properties would realize their folly. Of course, Boston Properties has already sunk a lot of money into the financially-insulting infrastructure.